We analyze the polarization spectrum of S10−P11 transition in atomic ytterbium with bosonic and fermionic isotopes in a hollow cathode lamp. Bosonic signals are created by saturation effects because of their only nondegenerate ground state, whereas fermionic counterparts are generated by optical pumping. The dependence of spectral signals on the cathode lamp current as well as the powers of the pump and probe beams are systematically investigated. Optimized parameters for future frequency-locking applications are suggested. 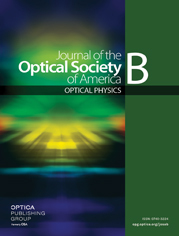 The effects of pump beam polarization are determined by comparing results obtained from a circularly polarized pump beam to those obtained from an elliptically polarized one; here, enhanced signals were achieved by the former compared with the latter.